in support of Arizona Basset Hound Rescue! will be opening up their patio from 12-4pm to humans and dogs to enjoy good food, good company and raise some money for the rescue. 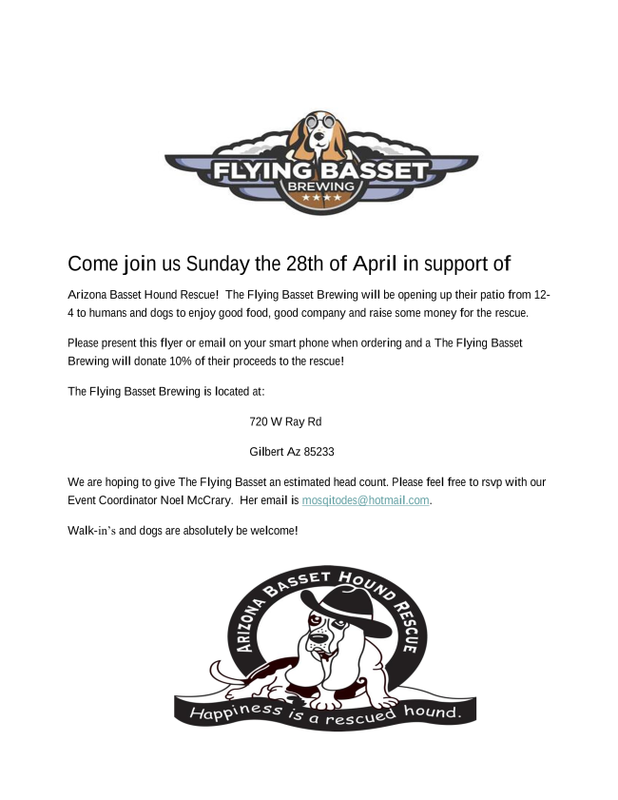 Please present this flyer or email on your smart phone when ordering and a The Flying Basset Brewing will donate 10% of their proceeds to the rescue! We are hoping to give The Flying Basset an estimated head count. Please feel free to rsvp with our Event Coordinator Noel McCrary. Her email is mosqitodes@hotmail.com. Walk-in’s and dogs are absolutely be welcome!